When we think of the Riviera Maya, exotic nature and fun beautiful beaches come to mind, as well as a plethora of activities to choose from; starting with guided tours, incredible amusement parks, nightclubs, etc. But on this occasion, we’d like to take you to discover the tropical jungle, secluded beaches, and hidden treasures that promise to make this summer unique and unconventional. Cobá, located between Tulum in Quintana Roo, and Valladolid in Yucatan, is an incredible cycle-friendly archeological site. It offers the bicycle rentals for travelers to embrace the lush jungle and bike paths that lead to stunning pyramids. 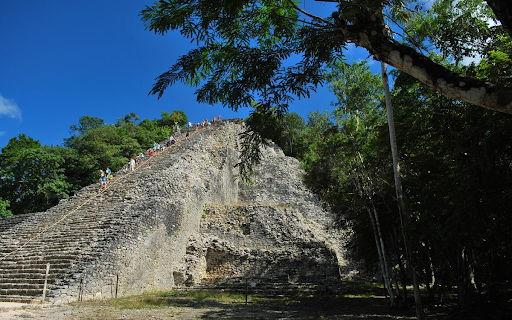 Cobá is also one of the few archaeological sites in Mexico where you are still allowed to climb up the pyramids. Nohoch Mul, is the tallest, with approximately 120 steps. Between 200 and 800 A.D, Cobá was one of the largest Mayan cities. It’s well worth learning about the history of this magical place while enjoying magnificent jungle views. And what better way to end the day than with a refreshing dip in one of the cenotes around the area? 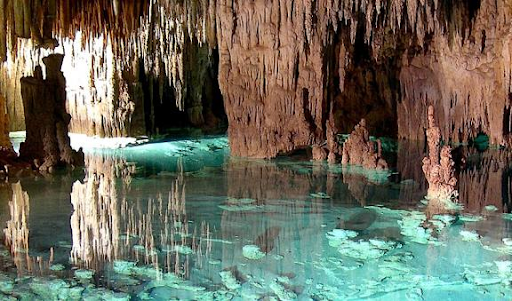 Some packages include a three-cenote tour, so save some energy to swim in all of them! The Riviera Maya is the perfect place for outdoor adventure- lovers. 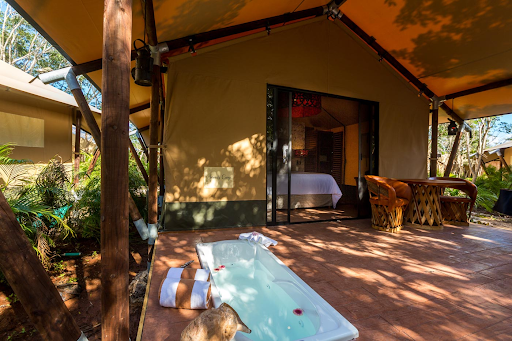 There are plenty of options available for camping or glamping – if you’re looking for a more comfortable experience with waterproof tents, king-size beds, solid flooring, and luxury amenities; but still wish to enjoy nature. Experience Tulum and the Sian Ka’an Biosphere at its best, surrounded by lush greenery, tropical native trees, turquoise waters, and the most stunning and fun beaches in Playa del Carmen. 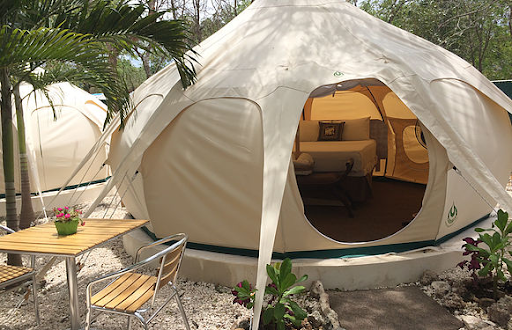 The calm waters, a cenote and a lagoon at Xpu-Ha, await eco-friendly travelers with a fantastic glamping site. 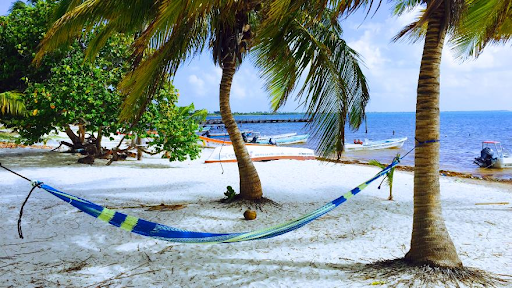 Discover Akumal’s white sand beaches with golden sunsets, underground rivers and caves and snorkel or dive in a natural aquarium. These hidden treasures with unparalleled beauty are life-changing getaways. Punta Allen – the southern tip of the Riviera Maya – is a picturesque fishing village nestled within a dream-like landscape. 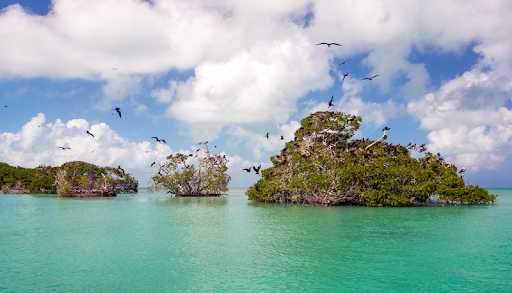 Enjoy a journey through a system of mangrove channels and a lagoon, home to thousands of species such as crocodiles, manatees, and herons. It’s an ideal place to view wildlife in its natural habitat, learn about the local culture, and appreciate the great outdoors and delicious seafood. Eco-friendly hotels, cabanas, or even camping in this energy-saving spot are great options too. Fun under-the-moon parties or a romantic starry-night enveloped by exotic vegetation will make it a getaway to remember. No matter your reasons for traveling, these three out-of-the-ordinary getaways are amazing options if you’re yearning for a one-of-a-kind summer surrounded by nature in the Riviera Maya.